Qualified and certified professionals for quality dental care. Best dental technology for efficient care and more comfort. Quick and easy access, round the clock on-call service in case of emergency. Ray Lawson Dentistry provides leading dental services in Brampton, Ontario. Our expert dentists are knowledgeable and provide quality dental care using the latest technology. We believe in making beautiful smiles a reality and provide the best services for our clients. 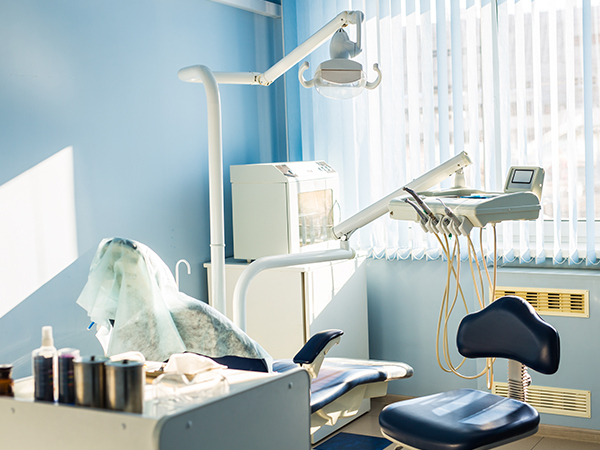 We provide variety of dental procedure including implant restorations, root canal therapy, Bruxism, orthodontics, periodontics, teeth whitening, veneers and many other services. We offer dental implant for a missing tooth. Our dental implants look and feel exactly like the natural teeth. We provide orthodontics solutions for children and adults for a straighter smile. Our team ensures you have an aligned and a healthy smile. We provide professional teeth whitening to restore stained teeth to its natural color for a healthier and a younger appearance. A crown is an effective way to save a tooth. It provides a surface to protect, cover, seal and strengthen the tooth. Ray Lawson dentistry is committed to excellence and strives to provide the best service to improve your life through your smile. Our mission is to provide a beautiful healthy smile. We believe in dentistry for a better life and provide complete dental care for you and your family. Our vision is to promote a dental experience built on trust, confidence and professionalism for our patients. Our team works tirelessly to remove barriers for our patients so they achieve the smile they deserve. Soprolife Technology can detect tooth decay in the earliest stage. 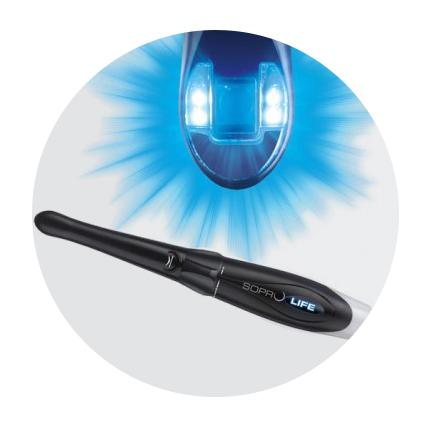 The technology uses light-induced fluorescence can help differentiate healthy from infected tissue and detect occlusal or interproximal decay. 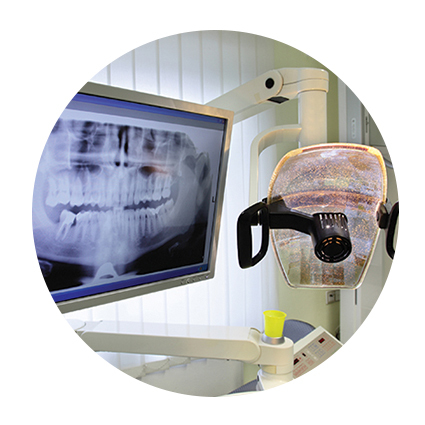 We offer Panoramic radiographs. This is a two-dimensional dental x-ray which captures the image of the entire mouth. The panoramic x-ray reveals dental and medical problems that may not be covered by the traditional intraoral x-ray. We offer digital dental radiographs to detect and monitor oral diseases. 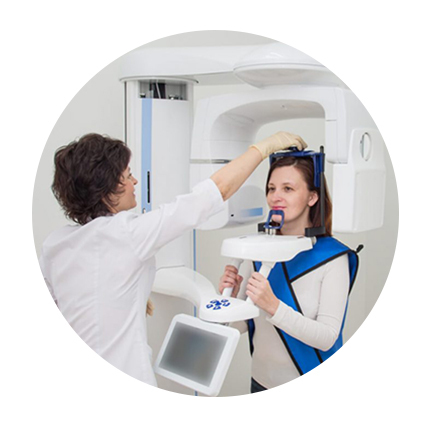 The digital dental x-ray exposes the patients to much less radiation and high quality image so the dentist can easily evaluate any problem the patient may have. Ray Lawson Dentistry uses evidence based dentistry which allows us to stay up to date on the latest procedures and technology. For a few, dental surgery can be nerve wrecking due to pain associated with it. We make sure the patient feel comfortable and relaxed at each appointment. We believe education and preventative care leads to better oral health. That is why we focus on routine checkup for the overall health of your gums and teeth. We are a team of highly skilled dental health professionals. We provide the best in class service for your healthy smile. 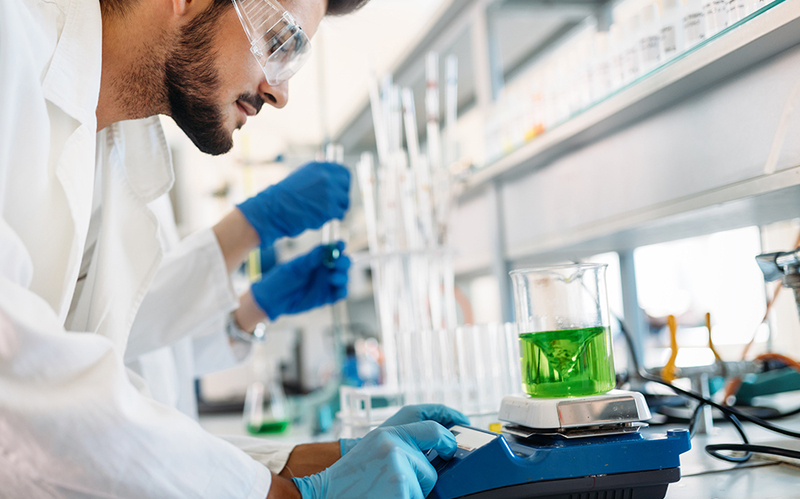 We believe learning is an ongoing process. Thus, we continue to educate ourselves with the latest technology and information. We enjoy our daily morning coffee and late evening wine but this habit of ours can easily stain our teeth. "This is the best practice I came across! My dentist made me feel comfortable even during the complex procedure. Thank you so much for your outstanding treatment and advice." Great experience! Caring dentist who'll go above and beyond for their patients. Thank you so much for the pleasant experience. Confirm your appointment with the dentist of your choice easily. We provide unparalleled services for all your dental troubles. We try our best to make you comfortable and explain necessary procedure for your ease. We have some of the best dentists in the country to provide you high quality service. We provide the best dental services in Brampton at affordable rates. 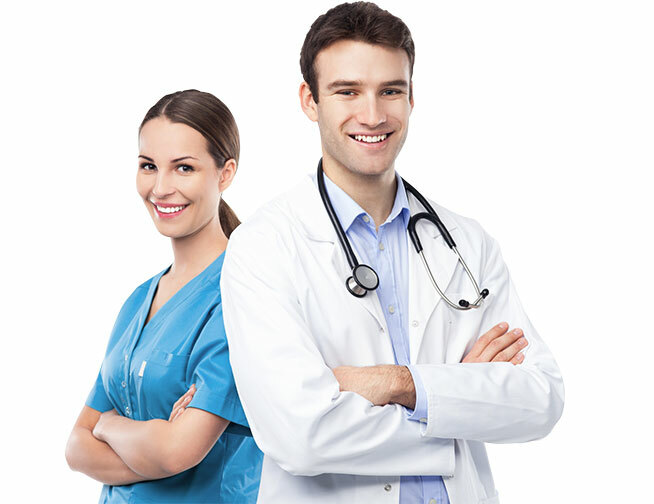 We welcome new patients to sample our services.